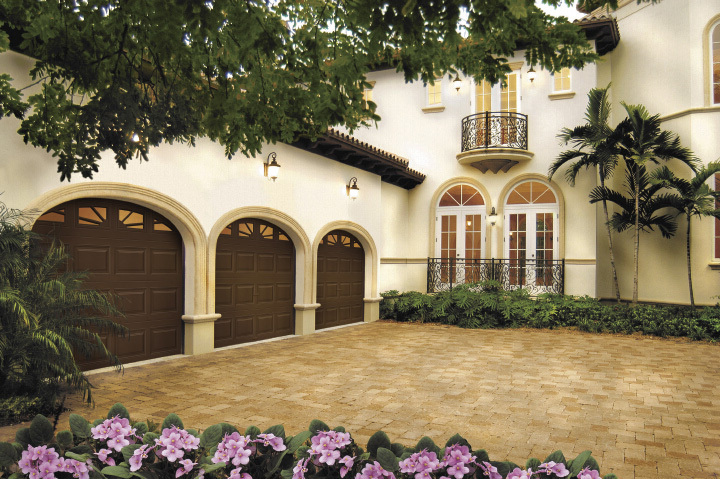 We Know Doors—Inside and Out! Welcome! Although our plans had been under lock and key until now, we are excited to finally fling our doors wide open and invite you inside for an up close and personal peek at our new website. We’ve brought with us the best of the old, including our quality products, superior services and experienced team of professionals. We’re the same family-owned and family-operated business with 20-plus years of experience—only better. Our fine craftspeople remain committed to keeping your life—and your doors—on track. You can learn more about us and why we’re the team that won’t just meet—but will exceed—your expectations. We’ve designed our website so that it’s user-friendly—clean, easy to navigate, informative and fun! You’ll find it’s chock full of information about garage doors, garage door openers, sliding doors, screen doors, automatic sliding doors, door repair & replacement and commercial overhead doors. We also offer weather stripping, specialty services and 24/7 emergency service. Still not convinced we’re the right partner for you? Check out our portfolio of awe-inspiring projects and our fabulous reviews. We’re not just the best in the area. We’re the best in the business when it comes to repairing, replacing, installing and maintaining premium quality doors. No one else in the area measures up to our customer-friendly approach, quality craftsmanship and top-of-the-line products. We also have a keen eye and strong appreciation for providing doors that aren’t just reliable, easy to use and affordable but also aesthetically and architecturally pleasing. At Door Pros, we roll up to your home or business in a fully stocked van, ready to handle the job quickly and efficiently. We’ve earned a reputation in this area as the team to call when you’re in a fix. That’s because we know how to repair what the other guys can’t even find. When you team up with Door Pros, you’ll find a partner that’s reliable, trustworthy and loyal. We’ll back you up every step of the way. Check out a list of some of the communities we serve. If you don’t see your town listed, give us a call at 760.993.6873 or fill out our contact form to find out if we can help you. We couldn’t be more excited to introduce you to our new website and all that we have to offer. Please feel free to wander from “room to room” and explore. No need to knock. Just open the door and take a good, long look around! You’ll find lots of helpful information in our blog and can obtain a quick quote for your latest project. Come back to visit us often! We’ll leave the door open!